Peer Stritzinger GmbH is a leading provider of Erlang solutions for embedded systems, and a developer of intelligent industrial control systems. The Hydraprog product line, a well-proven ECU update system is used by various Tier 1 automotive suppliers all over the world. Meet our team… We’re Hiring! Simple, cost-saving, and future-proof: Hydraprog 3s provides reliable and safe ECU rework. Complex multi-step flash processes can be specified in the configuration data. With architecture designed for low latency and independent flashing channels, Hydraprog 3s supports maximum throughput with minimum personnel. Scale up with multiple units in a daisy chain network, and prepare for hardware changes with a modular system that supports all standard field-bus connections. Create amazing Internet of Things designs without soldering or dropping down to C. Right out of the box, GRiSP-Base boots into Erlang VM running on real bare metal. 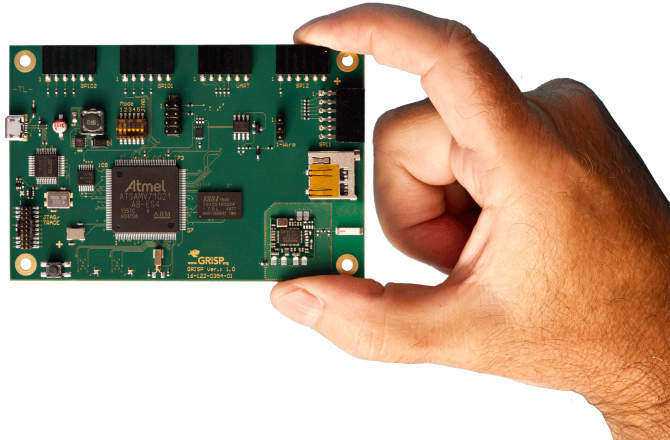 It features on-board wireless networking 802.11b/g/n WLAN and connectors for standard PMod sensor and actuator modules.